We believe that a good product should always go together with social, environmental and economic sustainability. When launching the project we became aware of the existing social problems, and chose to fight for equal labor opportunities. That’s the reason why we manufacture our products in collaboration with the Santa Teresa Foundation (Tarragona, Spain) to employ 6 people with special abilities who assemble the product while receiving integral support for its social inclusion. Supporting this reality is fundamental for us. Our social impact makes special sense as we support circular and local economy. The components used in our gardens are provided localy. Favouring the local economy, we reduce the environmental impact, minimizing transport energy. 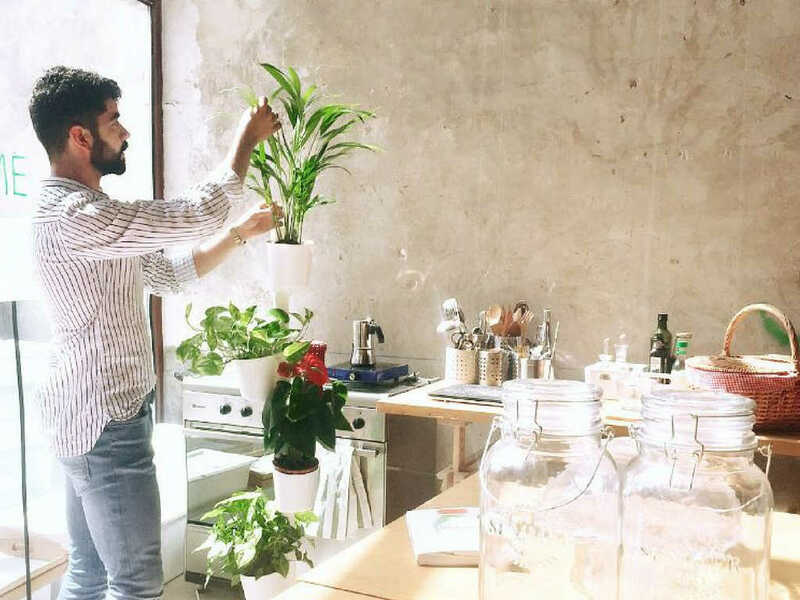 How can we enjoy more plants in our spaces? Trying to answer this question is how the Citysens entrepreneurship project was born. An idea of four friends that became a reality thanks to the support of more than 300 backers in a crowdfunding campaign. That is why Citysens is much more than an entrepreneurial initiative - it is an achievement of all who believe in greener cities and all the small actions that improve our environment.